Sprains and strains to the thoracic region of the back are very common because the upper back supports such a great amount the body’s entire weight and maintains posture and stability while we walk, run, sit, or stand. The upper back muscles are responsible for keeping your body up straight and prevent slouching, from the lower back up to your head. The multitude of small muscles in our back, as well as the ligaments that connect these muscles to our bones, comprise a vast framework of muscles, ligaments, and bones that together support the spinal cord and allow for dynamic movements and flexibility. The small size of the muscles in the upper back makes them vulnerable to injuries, which is another reason why sprains and strains are such a common occurrence. If you have looked through information on rib pain, you may have found that the condition of rib pain has been given many names. Costochondritis, intercostal neuritis, costo-transverse sprain just to mention a few. Rib pain can be intense and very limiting physically. The name intercostal neuritis, meaning inflammation of the nerve between the ribs, is often used if you have pain radiating along the ribs to the front of the chest. A costo-transverse sprain is an injury that people often wake up with characterized by sharp localized pain. Sometimes it is caused by an awkward sleeping position or caused by turning in bed, or something that happened the day before. Shoulder blade pain is a common symptom most everyone will experience in their lifetime. Neck, mid back, and shoulder muscles all attach to the scapula or shoulder blade. Chronic poor postures sitting at a desk or poor form with lifting can lead to a lack of blood supply to these muscles due to chronic muscle tension or spasm. This resulting ischemia (lack of blood flow) leads to hypoxia (lack of oxygen supply) to these muscles. The result is cellular death and injury due to lack of fuel from oxygen. The result is fibrosis and can result in trigger points that form in your shoulders, neck, or upper, or middle back. The likely cause is a postural issue. For example, if you have rounded shoulders from sitting in a office, your back muscles are already overstretched because your shoulders are rounded forwards. When you complete some pull-ups, or rows, your muscle will be stretched even further when lowering the weight, then will forcibly contract when lifting the weight. This over-stretching combined with intense contractions can overstimulate your muscles causing trigger points or muscle knots to form. While not as common as cervical or lumbar degenerative disc disease, thoracic disc disease is still just as painful. Thoracic degenerative disc disease results from wear and tear of the thoracic disc. This wear and tear usually is a process that comes with age; however it may be initiated by injuries such as falls, motor vehicle accidents or injuries resulting from heavy lifting. The process often starts with minor tears and may progress to spur formation. 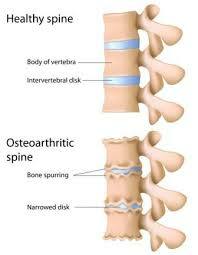 Back pain at the level of the disc is the most common symptom. While thoracic degenerative disc disease is considered a normal part of our body’s aging, this disease can also be brought on by genetics, trauma, injury, or illness. It can also cause stenosis over time, narrowing of the spinal canal. Many patients with DDD do not exhibit symptoms. 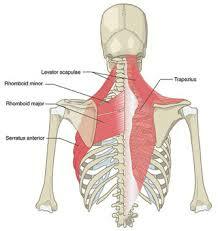 Muscle spasm and changes in posture in the thoracic area. 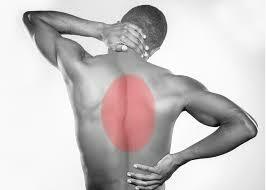 Myofascial pain syndrome typically occurs after a muscle has been contracted repetitively. This can be caused by repetitive motions used in jobs or hobbies or by stress-related muscle tension. Myofascial Pain and Fibromyalgia share some common symptoms such as hyperirritability, but the two conditions are distinct. In fibromyalgia, chronic pain and hyperirritability are pervasive. By contrast, while Myofascial pain may affect many parts of the body, it is still limited to trigger points and hot spots of referred pain. Scoliosis is a curvature of the spine that occurs most often during the growth spurt just before puberty. 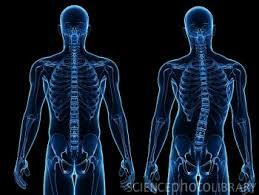 Scoliosis can be caused by genetic conditions or by mechanical means. Most cases of scoliosis are mild, but some children develop spine deformities that continue to get more severe as they grow. Severe scoliosis can be disabling when severe spinal curves reduce the amount of space within the chest, making it difficult for the lungs to function properly. Children who have mild scoliosis are monitored closely, usually with X-rays, to see if the curve is getting worse. In many cases, minimal treatment is necessary. Non-surgical scoliosis patients can largely limit the progression with at home rehab, focused stretching, and monitoring loss in range of motion.